Home schooling versions of our gifted and talented courses: now for everyone! 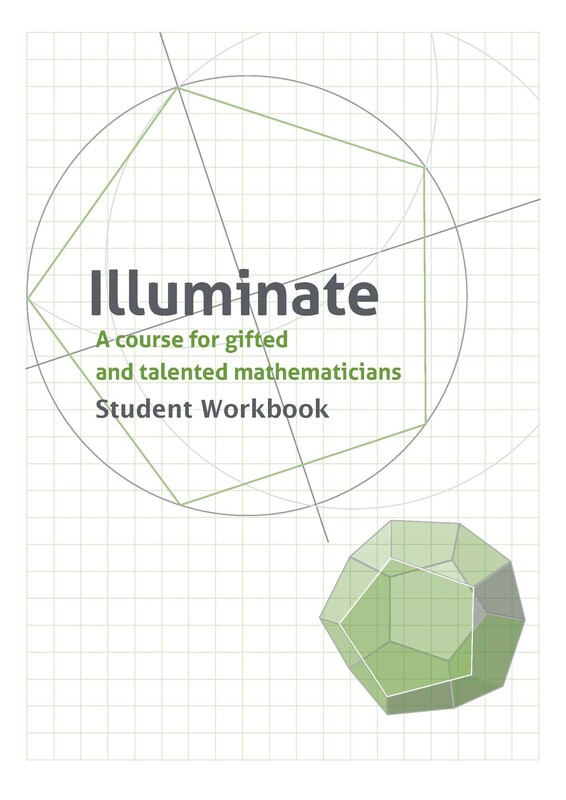 Illuminate is suitable for an age range of 12-16...and over! 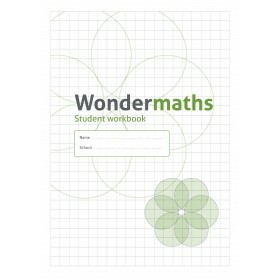 Wondermaths and Illuminate are our acclaimed courses for gifted and talented mathematicians in schools. Our view is that everyone can be a gifted mathematician and these courses are suitable for anyone with an interest in mathematics. Not doing sums or exercises but the wonderful, compelling, bemusing, exciting thing that really is mathematics. We feel sure that most home schoolers are not at school because they recognise that school subjects can often be much more exciting when studied without the problems of fixed periods, large groups and the hurly burly of school life. So we think you will be excited to study maths using our courses. In each case the pack contains one copy of the student book and a pack of cards, dice and items needed for the activities. With Illuminate, there is a CD Rom,. This contains all of the materials, plus presentations, online interactive materials tio support the activities and an extra copiable booklet to support one of the big themes in maths! We have priced the packs to support the home schooling community. Note, these packs are not available for purchase by schools. 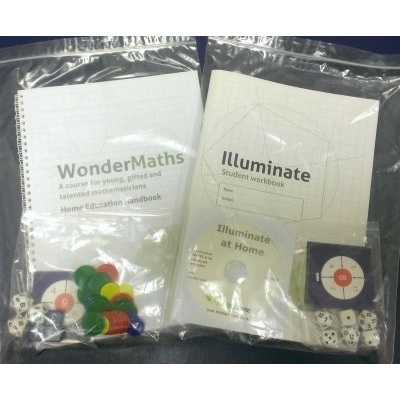 They should get our full course packs - see Illuminate School Packs below.